The DOI for the 3D model is 10.5517/CCDC.CSD.CC1M85Y0 (or click on the image above). Such topology intersects with work we did a few years back on high-order crossings in fully conjugated π-systems, which were then illustrated with hypothetical charged higher order annulenes exhibiting linking numbers Lk of up to 6π. A fully π-conjugated system, also with a linking number in the π-framework of 6π but in the form of a trefoil braid was even suggested on this blog, with a common feature of a central templating atom (a cation rather than an anion). Another example of a previously reported pentadecanuclear manganese metallacycle was also assigned a linking number of 6π. The molecule above is not completely π-conjugated around the braid and so special properties related to aromaticity and associated ring currents resulting from the topology of the cyclic conjugation are not expected to accrue in the eight-crossing molecular braid. We might also look forward to examples of the characterisation of braids with an odd-number of crossings such as trefoils, pentafoils, heptafoils, etc, as associated with the name Möbius. This entry was posted on Friday, January 20th, 2017 at 2:47 pm and is filed under Interesting chemistry. You can follow any responses to this entry through the RSS 2.0 feed. You can leave a response, or trackback from your own site. 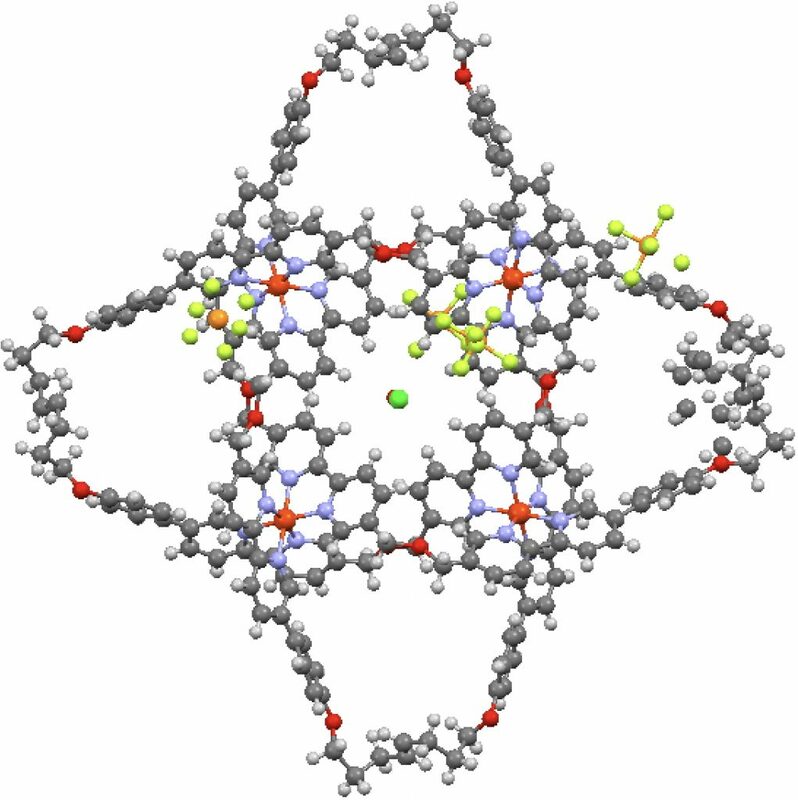 A hexafoil knot (Star of David) is reported by the Leigh group, DOI: 10.1038/nchem.2056, 3D Model DOI: 10.5517/CC129N45. A pentafoil knot is also reported, DOI: 10.1126/science.aaf3673, 3D Model DOI: 10.5517/CCDC.CSD.CC1KFN3R. In another post, I noted Derek Lowe’s book on 250 milestones in chemistry, highlighting two entries. As the same time, I also got Clifford Pickover’s book on 250 milestones in mathematics. You might expect that knots feature in this book. Again, I note two interesting entries. 1. Pickover places the discovery of knots at around 100,000 BC. He also mentions (and he was writing in 2009) that around 1.7 million non-equivalent knots with 16 or fewer crossings have been discovered. 2. His second milestone dates from 1988 when Sumners and Whittington (the latter a chemist) modelled ropes and other objects such as polymer chains, finding using purely mathematical procedures that nearly all sufficiently long self avoiding random walks will contain a knot (DOI: 10.1088/0305-4470/21/7/030), or more specifically that for n steps in a random walk, the knot probability goes to unity as n goes to ∞. 3. Finally, I note that Wikipedia has a whole section on knotted proteins, including trefoils. The topic of knotted proteins is a recent one, the first suggestions being in 1994! A search of the protein databank (PDB) as http://www.rcsb.org/pdb/search/advSearch.do?search=new reveals 39 systems described by the term trefoil! Braiding a molecular knot with eight crossings. is licensed by Henry Rzepa under a Creative Commons Attribution-Noncommercial-Share Alike 3.0 United States License.